With millions of ownCloud users, there are a wide variety of needs and requirements. ownCloud Server 8.1 will introduce Release Channels to give our users more flexibility in choosing an ownCloud version to meet their needs. Read on to find out what they offer and how to use them. Some users want the latest ownCloud in order to benefit from the new features, performance improvements, and apps. Others depend on apps, which require a specific ownCloud release, or delay upgrading to a major release for other reasons. Even other users want to help ownCloud get better– checking if a bug is fixed or testing to see if the upcoming release works for their requirements– and would like a super recent development version. To offer the “best fitting” ownCloud Release to our users, we decided to set up Release Channels for the ownCloud software. Users can select the best installation source based on their own demands. You pick a release channel either from the Update app in the Administrator settings of your ownCloud instance, or by choosing a package repository of a specific stable stream. 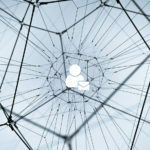 Your options and links to the repositories can be found on the Release Channels page on owncloud.org. You can watch the video below or read on to hear about the release channels we offer. This channel delivers the latest fully tested release of ownCloud. That does not imply that these releases are bug free. The issues are known and can be worked around. The downside of this channel, however, is that the releases are behind in terms of features and performance. In the updater app, this channel only delivers versions that have proven their stability in the Stable channel for quite some time– one or more months after the release of a major new version. For Linux package users, administrators can decide what release they want to be on by picking a version-specific repository. They will only receive minor bug fixes and security updates until the release is no longer maintained. This allows you to choose when to upgrade to a major release yourself, but also puts the responsibility on your shoulders of making sure that you do not run an unsupported release! If at all possible, we suggest to upgrade sooner rather than later. Doing a test on a copy of your production environment is a better way of ensuring the new version works for you than waiting and hoping all issues are found and fixed – that way, you lose out on many of the benefits of the new release, not only in terms of features and user interface enhancements but also when it comes to performance improvements and scalability. You can find the version-specific repositories and links to packages on the Release Channels page. The latest stable release– as it was released by the ownCloud community. This channel delivers the latest released features after we have done our internal testing as well as public Beta and RC tests and fixed all nasty new bugs found. This is what you get by default from owncloud.org/install. If you installed ownCloud from there, you will be offered an upgrade to ownCloud 8.1 and future releases on their release date. This channel delivers dedicated test versions such as betas and release candidates. Betas and release candidates are the versions of choice for testers in preparation for an ownCloud release. If you want to make sure that the upcoming ownCloud release will function well in your setup, grab a beta, do a test upgrade, and run. Join the tes tpilots to get links to the latest test versions. ownCloud daily builds. It contains an automatically updated source of the current development branch. This version is not recommended for production use but is mostly helpful to reproduce bugs and follow the development for the next major version. You can find the daily package repository and archives in the testing section of the install page. 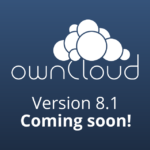 ownCloud Server 8.1 will bring many improvements, not only to the software itself, but also around it. Besides the new Release Channels, the release will introduce improved app handling and more.